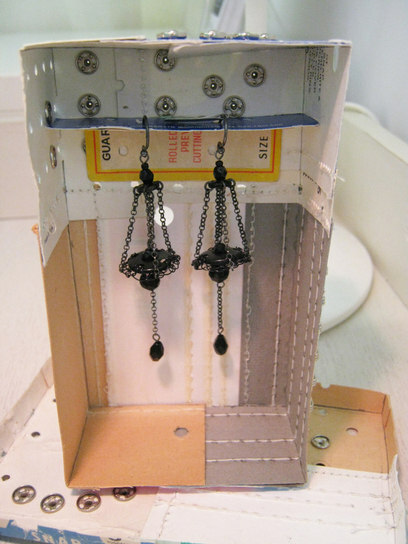 Inspired by pictures on my blog of my ever growing collection of vintage cards of hooks and eyes and press studs, Jennifer sent me an excited tweet about an idea for us to collaborate on a project. 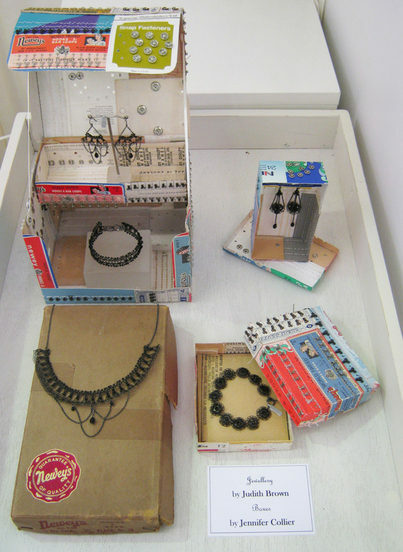 She would make jewellery boxes from the old cards that I had stripped of hooks and eyes into handmade boxes and I would make some new pieces to complement them. Here you can see the fruits of our labour made especially to show at the British Craft Trade Fair earlier this week in Harrogate. 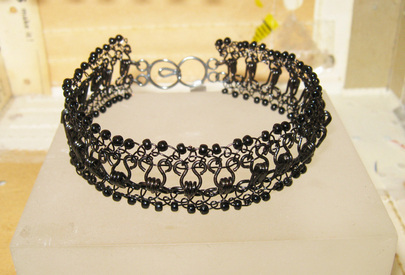 Both of us are from a textile background, I use wire like thread and Jennifer, paper as fabric. For more of Jennifer Collier's amazing paper creations go to www.jennifercollier.co.uk or www.unittwelve.co.uk - Jennifer's gallery and studio space outside Stafford. I will be exhibiting there later in the year and also running a workshop too. 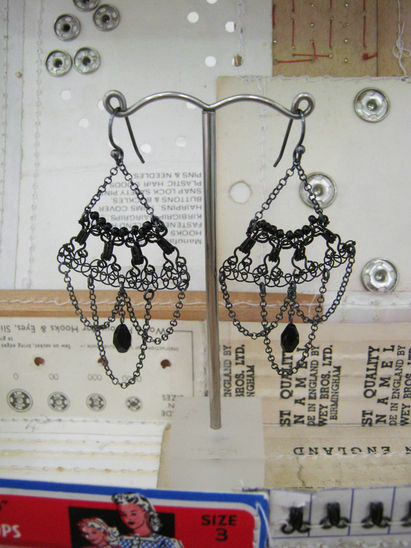 New Vintage Noir chandelier earrings...yet to be christened! I'm really pleased that Jennifer started this ball rolling as I have loads of ideas for new designs which is really exciting, I just need to find the time to experiment now! 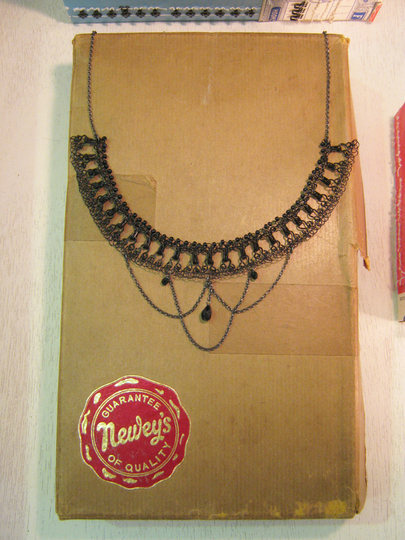 New Vintage Noir hook and eye chandelier necklace displayed on a 1930s box (full) of old Newey's cards of hooks and eyes.